Edmond Tree is always very careful to not leave tree waste behind. We take pride in making sure that each and every time we clean up the job site. Part of that process is putting limbs and branches through our wood chipper. Let us know if you would like for us to leave the mulch behind for you to use in your beds. When mulching around your trees, keep in mind that if not applied properly, you can cause harm to the health of your trees. Mulch does not need to be applied to thick as it can choke the root crown of oxygen. Some people like to pile the mulch like a volcano code up around the base of the tree. This has the same effect, and if left in place for a long enough period of time, will starve the roots of oxygen, causing them to come up into the mulch to gain oxygen. If you have questions on how to properly apply mulch around your trees, make sure that you ask our Tree Care Specialists! 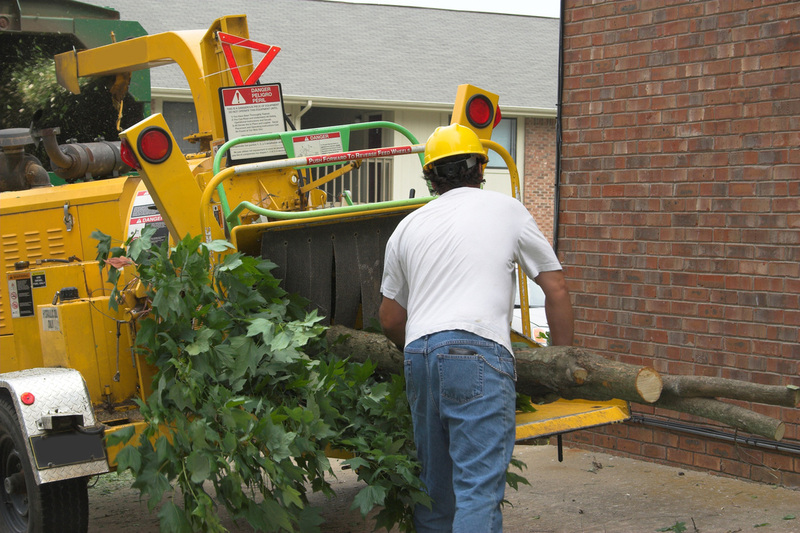 If you have a brush pile that has been sitting around since last summer, call us up at 405-562-5725 and ask for us to bring our wood chipper out and we’ll take care of it for you!